Last week I got together with three of my friends — Mike Splane, Gjon Feinstein, and Eric Fingal — for a chess analysis session/chili feed. I’m glad to say that both parts of the occasion went well; the chess was perhaps even better than Eric’s wife’s chili, which is saying something. Mike showed us a recent win from the Kolty Chess Club. Faithful readers of this blog have seen Mike’s name many times, and sometimes the blog is in danger of becoming a Mike Splane blog — not that there would be anything wrong with that! What makes our analysis sessions so rewarding is that he never stops looking for new concepts in chess. And I don’t mean new opening variations, which is where many players begin and end in their quest to improve. I mean new ideas about how to play the game. Readers will remember such ideas as “the Mike Splane question” and “traitor pawns,” which I have discussed before. Lately Mike has become interested in the concept of “parking spots,” which are squares you can place your pieces on that the opponent can’t drive them away from. It’s a little bit like the well-known chess concept of “outposts,” but unlike an outpost, a parking spot is a safe haven in your half of the board. Ideally, a parking spot should also be a going spot, a square from which the piece can reach many destinations. Not all of Mike’s concepts are equally valuable; in this game I really wasn’t convinced by Mike’s parking spots, and I think his win was due to other factors, including a very far-sighted application of the Mike Splane question. Judge for yourself! Already an important decision for Black. With 3. … ef, Black goes for rapid development, but his center pawn at d5 cannot be securely defended and Black will usually have to trade it for White’s c-pawn. However, this is not necessarily a bad thing, because Black wants open lines in order to maximize the potential of his two bishops. Position after 8. … Bg4. White to move. This is the first move that is not completely routine, and I like it. It’s consistent with Mike’s plan of developing pieces and not making unnecessary pawn moves, and it hints at one of the defects of White’s position: the weak light squares around his king. White can’t repair that problem easily, because if he starts moving his f- or h-pawn to defend those weaknesses, then the dark squares become weak — and he has no dark-squared bishop to defend them with. The most popular move for Black, according to ChessBase, is 8. … f5. Ironically, Mike considered that move very important, which is one reason that he didn’t play it. 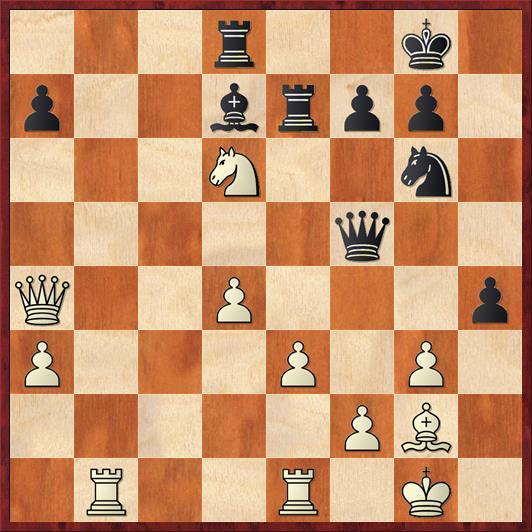 On this move he asked the Mike Splane Question: “How am I going to win this game?” His answer was, “By playing … f5 and … f4.” But if you declare your intentions too early, you give White a chance to defend against them. It’s much better to wait until the opponent is distracted, and then play … f5 at a time when the followup … f4 is unstoppable. 9. Re1 Nd7 10. Qd3 Nf8 11. c4 dc 12. Qxc4 Qb6? Mike criticized himself for playing this move, and I agree. 12. … Qd7 would be more consistent with the setup of the rest of his pieces. It seems as if he played 12. … Qb6 because he actually thought he could get away with taking the poisoned pawn on b2, so he thought he was inducing White to waste a move with 13. b3. This was incorrect, and on b6 the queen ends up both being a target and in the way of his other pieces. Mike gets cold feet. If 13. … Qxb2 14. Rab1 Be6! is interesting (15. Qxe6? Qxb1! foreshadows the way our game actually ended) but I have to think that White is fine after 15. Qd3 Qa3 16. Rxb7. Parking spots, alas, don’t last forever. Sometimes you get towed. That’s one reason I think that Mike may be overrating the concept a little bit. Position after 16. … Rd8. White to move. Up to this point White has played well, and I think he can cement a small advantage with 17. Rec1! 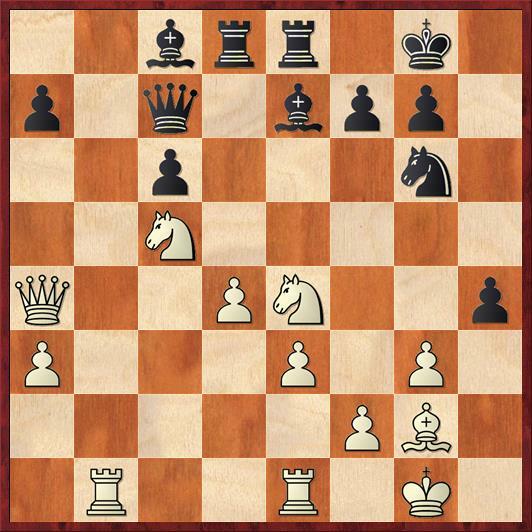 (Gjon’s move) or 17. Nc5! (my move). The tactical point behind the latter move is that 17. … Bxc5 is met by 18. Na4! followed by Nxc5, with a very nice outpost on c5 and lots of pressure on Black’s queenside. If Black tries to maintain the two bishops with 17. 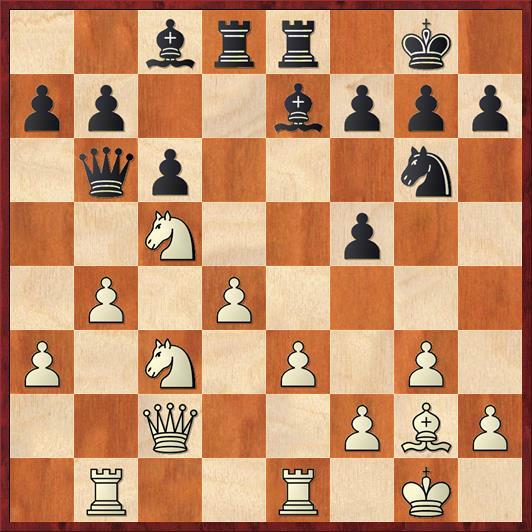 Nc5 Bc8, then 18. a3 forces him to trade the dark-square bishop for a knight. After this White’s position would have no weaknesses. This line shows the awkwardness of Black’s queen on b6; it cuts off a possible escape route for the dark-squared bishop via a5. Gjon’s move is also good, as White realizes his rook is doing nothing on e1 and is just a target (a theme we’ll see later in the game as well). Although White has a plan, it is a faulty one. He spends a tempo chasing Black’s bishop from a square it really doesn’t want to be on anyway. 17. … Be7 18. b4 f5! Now is the perfect time for this move, when White is preoccupied on the queenside. Position after 20. Rb1. Black to move. Remember the Mike Splane Question? If you do, you won’t have any trouble figuring out Black’s next move. 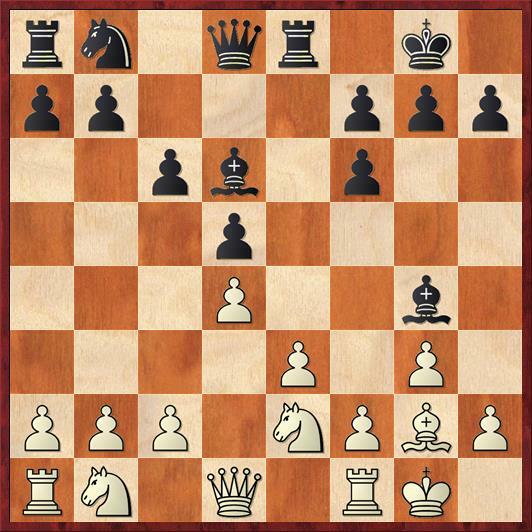 If White takes the pawn, he creates weaknesses on his kingside and has to abandon his plans to attack on the queenside. Still, it’s worth looking at 21. gf Nh4 22. Bh1. I think that after slow moves like 22. … Bg4 or 22. … Qc7 White is actually doing fine because he can play Nd3-e5, an attack killer if there ever was one. Black must take this knight off while he has a chance, with 22. … Bxc5 23. bc Qc7, and then it’s an interesting, dynamic position. The knight on h4 has found a great outpost (or parking spot? ), constantly forcing White to worry about Nf3+. On the other hand, if White can ever manage to play Ne4-d6, his position must be better. Not surprisingly, Ho declines the pawn sac. Most players would, because it’s more fun to play attack than defense. There’s no time for 21. … Bxc5 22. bc! and White’s attack comes first. 22. bc bc 23. N3e5 fg! I love this middlegame because it’s such a clash of conceptions. White has gotten the perfect position for his knights on the queenside, with lots of outpost squares and targets. If the game were decided on the queenside, White would absolutely be winning. But on the kingside it’s the opposite story — Mike relentlessly exposes White’s weaknesses. And the kingside is where the kings are. Other things being equal, the stronger attack is usually the one that is closer to the kings, and this game is no exception. 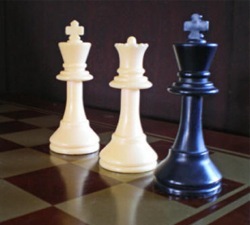 The pawn is coming, and White cannot do anything to stop it. Position after 25. … h4. White to move. Here I wanted White to try 26. g4, trying to close the lines leading to White’s king. After 26. … Bxg4 27. Rb7! would create real counterplay for White. However, Mike correctly points out that Black should just spurn the pawn and continue with his plan: 26. g4 h3! 27. Bxh3 Nh4 and the threat of Nf3+ and Qh2+ is absolutely crushing. So White has nothing better to do than continue his queenside attack. It’s a situation similar to a Dragon Variation or King’s Indian Defense, where both sides have burned their bridges and the die are already cast (choose your favorite metaphor). Touchdown! Do I get an extra point? No? White was surely counting on this move, and Mike just saw one move deeper. This is another reason why I take Mike’s theories with a grain of salt. In the end, it still comes down to which player has more imagination and sees farther. White has to try 29. d5!, when of course Black cannot take the pawn because of 29. … Qxd5?? 30. Nf6+. The four of us couldn’t find a clearly winning line for Black after 29. d5, but there is no question that White’s position is balancing on the edge of a precipice. After 29. … h3! 30. Bh1 Ne5 the threat of Nf3+ is now huge. White can prevent it with 31. f4, but only at the cost of creating even more weaknesses. I can’t help thinking that this position is eventually going to blow up catastrophically in White’s face. In the game, everything is much simpler, as Mike wins with a tactical trick. Position after 30. Nd6. Black to move. I gave you a hint about Black’s winning move earlier in the game. It’s kind of amazing that the same idea is still there, 15 moves later. The desperado queen! White has no counter-desperado moves because his rook on e1 is also hanging. Game over, although White played on for three more moves. 31. Qa5 Qb8 32. Be4 Qxd6! Another nice trick. Because White’s bishop on e4 is loose, Black is not losing the exchange. Down a rook, with a piece hanging and your king about to be checkmated is a good time to resign. Not a perfect game by Mike, but a good example of how a master outplays a class-A player. The last new idea that I was exposed to was Dana’s King’s Bishop Gambit. I was shocked that such an opening was valid. Since then its become my goto opening in blitz play. But now I’ve discovered a new love, one so strange that it qualifies as a secret weapon. I’ve played it with amazing success. My enchantment with it began as I pondered the Sicilian. I didn’t want to memorize long complicated lines and I was searching for responses that would obviate the need to study them. I first tried the Smith Morra but later became disenchanted with it and I needed a replacement as I had just joined the Marshall Chess Club and wanted a credible repertoire. Here is my secret answer to the Sicilian. It’s 1 e4 c5 2 Bd3! it’s based on the insight that the bishop wants to control the b1-h7 diagonal, which allows it to be much more active in the middle game. It seems like an awful move but white’s move 3 is c3, which isn’t wasted because it sets up a later d4 after the bishop has retreated to c2. As best as I can tell, this novelty was developed by IM Danny Kopec, who taught chess at Brooklyn College. I believe that he has since passed away. You’re right, it looks outrageous at first, but actually 2. 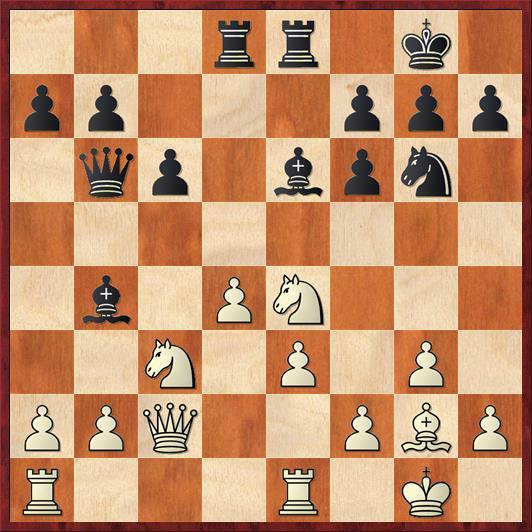 Bd3 fits pretty well into White’s plan of development with c3, Bc2, and d4. If you read my post carefully, though, you’ll see that I comment specifically on new ideas that are not *opening* ideas but just chess in general. Too many players (myself included) get fixated on the first 10 moves and don’t even think about ways to improve the last 40 moves of their games. I play lines that transpose into the Kopec Sicilian myself; it’s a lot better than it looks, though it drives my study partners up the wall. It’s mysteriously popular among the top players in Oregon, and when I play it in Oregon I see reams of prepared analysis (though I drew the current Oregon Champion with it anyway, much to my surprise) but here in Washington it’s a surprise weapon. The themes are similar to the Alapin and Delayed Alapin; White will eventually try to build a strong pawn center. I notice that players below 1900 tend to exchange when White plays d4 “because that’s what you do in the Sicilian” whereas stronger players do not. In blitz play against a new opponent, after I play B-d3 I then offer a draw, planting the seed in my opponents mind that my hand slipped and I have a losing position.